But would you believe that in order to execute God’s will for people to populate, fill, and subdue the earth, God ‘confused’ the only one language of people living on earth in those times? This is how the story goes. (Genesis 11:1-8 ) And the whole earth was of one language, and of one speech. And it came to pass, as they journeyed from the east, that they found a plain in the land of Shinar; and they dwelt there. And they said one to another, Go to, let us make brick, and burn them throughly. And they had brick for stone, and slime had they for mortar. And they said, Go to, let us build us a city and a tower, whose top may reach unto heaven; and let us make us a name, lest we be scattered abroad upon the face of the whole earth. And the LORD came down to see the city and the tower, which the children of men built. And the LORD said, Behold, the people is one, and they have all one language; and this they begin to do: and now nothing will be restrained from them, which they have imagined to do. Go to, let us go down, and there confound their language, that they may not understand one another’s speech. So the LORD scattered them abroad from thence upon the face of all the earth: and they left off to build the city. God’s command to the family of Noah to repopulate or replenish the earth is ecologically sound. People must not only inhabit a particular place and let the other places of the earth be dominated by beasts and wild animals. Humankind, and not beast, must subdue the earth. Because of their apparent resistance on God’s will, God confused their language. That event that happened in the Tower of Babel saw the birth of different nations and languages in the human family.The rest is history. Linguists divide the Semitic languages into four groups. The North Peripheral group is represented by the Assyro-Babylonian language, or Akkadian. The oldest attested Semitic language, with the oldest Semitic literature, Akkadian was spoken in Mesopotamia between about 3000 bc and 600-400 bc and used as a literary language until the 1st century ad. Because of the confusion that happened, they were forced to scatter to all the habitable face of the earth. A group that does not understand the language or the speech of another group, was forced to depart and separate themselves as a group. Another question arises: If humankind came from only one family, why the difference in color, physical features, etc. Mathematically, the more than six billion people that now populate the entire earth came from a much smaller stock in the early 19th century, about six hundred million, and further, from eight souls that survived the great flood. (1 Peter 3:20) Which sometime were disobedient, when once the longsuffering of God waited in the days of Noah, while the ark was a preparing, wherein few, that is, eight souls were saved by water. Is there, by any chance, that a family may grow up to a huge global population of different colors, breeds, cultures, and physical features? The answer is, reality; but how? The color of the skin is influenced by the environment. In places where there is abundance of scorching sunlight, people’s skin can turn darker. (Songs of Solomon 1:6) Look not upon me, because I am black, because the sun hath looked upon me: my mother’s children were angry with me; they made me the keeper of the vineyards; but mine own vineyard have I not kept. It may take a thousand years for the complete blackening of the skin of a particular race. No wonder there are now in reality black people because the human family have existed on earth for many thousands of years. Jablonski and Chaplin note that when human indigenous peoples have migrated, they have carried with them a sufficient gene pool so that within a thousand years, the skin of their descendants living today has turned dark or turned light to adapt to fit the formula given above–with the notable exception of dark-skinned peoples moving north, such as to populate the seacoast of Greenland, to live where they have a year-round supply of food rich in vitamin D, such as fish, so that there was no necessity for their skin to lighten to let enough UV under their skin to synthesize the vitamin D that humans need for healthy bones. 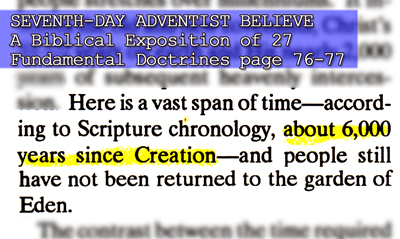 The belief of the Jehovah’s Witnesses and the Seventh-Day Adventists that the human family is only about six thousand years old is wrong. It is belied by physical evidences obtained recently by archaeologist. The Mayan culture is believed to have existed in the American continent some thirty-five thousand years ago. The question about different skin colors can biblically and scientifically be explained; But what about the different physical feature? All this on our next article.